This time, I was going to make my husband his favorite chocolate pudding - there are only the two of us, and we don't go through a gallon of milk quite as quickly as we used to when the kids were living at home, so there was milk that needed to be used - but I really did not have time to stand over the stove and stir that pudding. 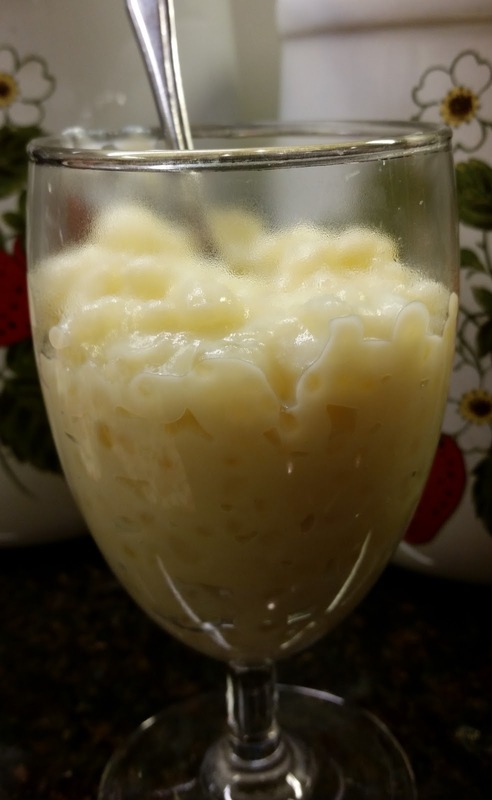 That's when I remembered the tapioca pudding my friend Brian made last month, and his turned out quite good, so I thought it was worth another try. I definitely had time to throw the ingredients in the crockpot and stir it once in a while, in between all the other things I was trying to get done. It turned out great! 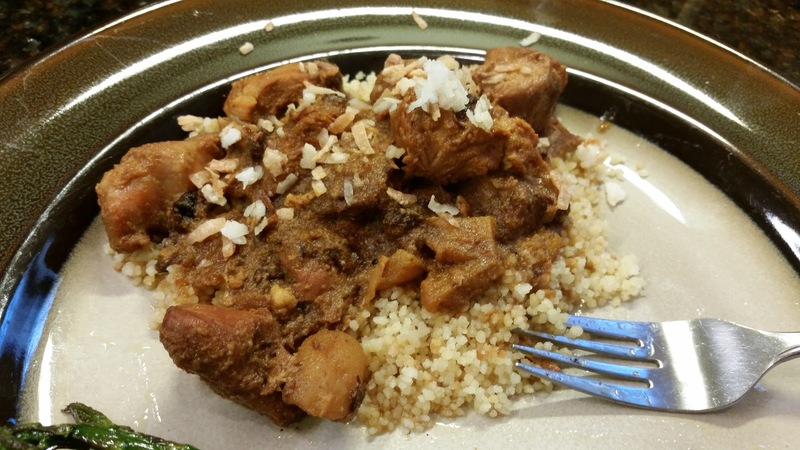 This is the recipe - good flavor, good consistency, and so easy. In 5-6 quart crockpot, beat eggs. Add sugar, salt, and vanilla and mix well. Mix in milk and tapioca. I'm not sure what recipe I used the last time; this is just one I found when I searched online for one. I took the recipe and incorporated some of the suggestions from the reviews - adding a bit of salt and some vanilla. And that was it. Super simple. Oh, and the recipe is basically 1-1/2 times the original because I needed to use the milk, and it was a better amount for the size of my crockpot. 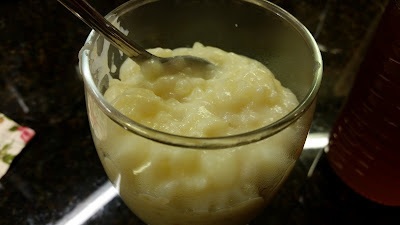 For me, I think the key to a good tapioca pudding is stirring it enough that the tapioca doesn't clump up in big clumps, while not stirring it so much that the tapioca breaks down completely. 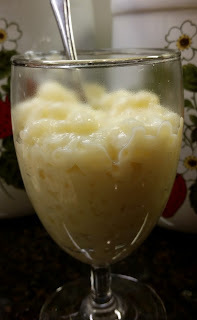 So, start out stirring every half hour, but as soon as you notice the tapioca starting to clump, make sure you stir it more often - and even get a bit aggressive with it to break those clumps up. Not too much because you still want those fun little clear balls that make tapioca pudding special. Did that make sense? I used a silicone scraper which seemed to work really well. Also, this got quite thick. I may cook it a little less next time to see if I can get it to be just a bit creamier. I don't know that will work, but I think one of the reviewers on the original recipe mentioned it. Stirring a bit more often toward the end will help with keeping an eye on it and knowing when it's at the right consistency. It's time again for Secret Recipe Club reveal! My secret blog assignment this month is Life on Food, an amazing blog written by Emily. Emily is new to Group A this month, so I'm excited to get this first chance to check out her blog. 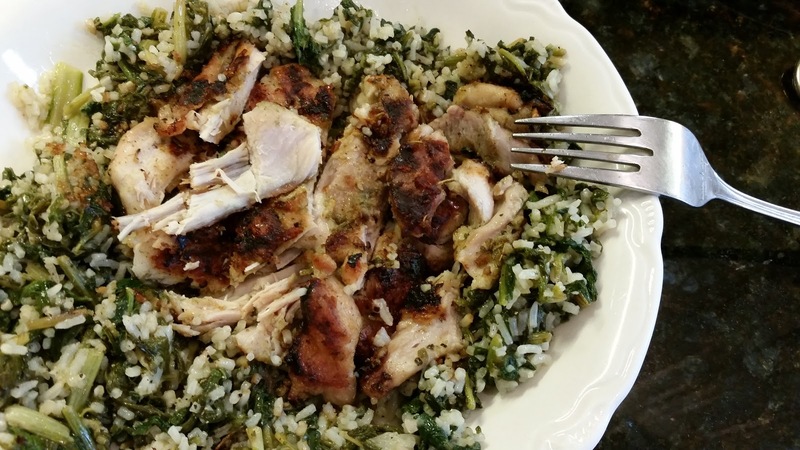 She lives in Connecticut with her husband and their little one, and her blog features food that they eat on a regular basis. But just because we're talking about everyday food that is simple to prepare, do not think that has to mean boring. 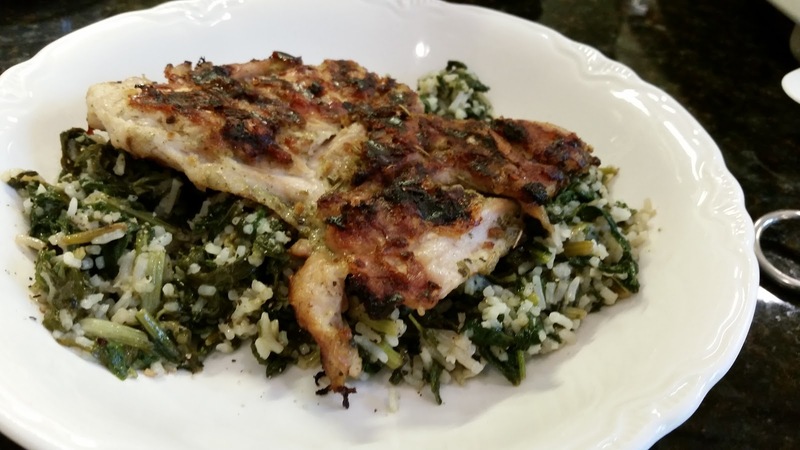 There are so many amazing-looking recipes on Emily's blog! The very first recipe that caught my eye was Emily's latest for these wonderful looking Browned Butter Chocolate Chip Blondies. I was seriously tempted to stop looking right then and head to the kitchen. But then I scrolled down and found this recipe for Easter Rice Pie which really intrigues me. Is it a dessert or is it a side dish? And who knew you could use rice in a pie? I definitely must try this. Then I found the perfect recipe - Cinnamon Sugar Almonds. I have been meaning to try something like this for ages. However, since the recipe is a previous SRC post, I will have to save the it for later. And these super fudgy brownies. And then I found this recipe for Apricot Mustard Chicken which really had my mouth watering. All those flavors just sounded so amazing! 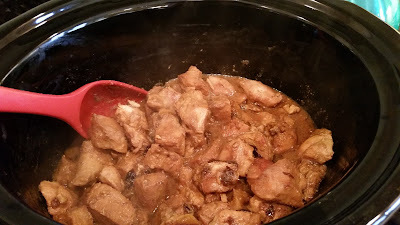 There's also a recipe for Crock Pot Applesauce Chicken and Crock Pot Coconut Curry Chicken and Crock Pot Pad Thai Chicken. They just all sound so good. But I decided to stick with the apricot chicken. In bottom of crockpot, mix together preserves, mustard, and spices. Mix in chicken, cranberries, and apricots. 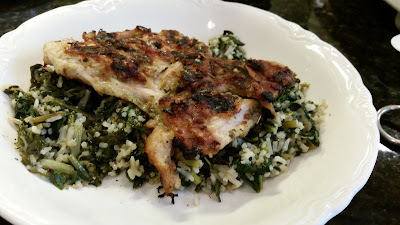 Serve with rice or couscous. Garnish with toasted coconut. Emily left her chicken breasts whole, but I figured I'd just cut them up in the end, so why not before? I also added the dried cranberries and apricots to the mix. It didn't turn out as pretty as Emily's, but the flavors were just as amazing together as I thought they'd be. We both really liked it, and I will definitely make this again. I am thinking that next time I want to try using boneless thighs instead of the breasts, just to see how that works out.